The city’s fascinatingly beautiful harmony is primarily due to its scenery. The Danube – Duna – flows into the city from the north, disembodying the vivid Pest from the Buda hills. Few places rival Budapest at night, as the city glitters in its full splendor. The city is the venue of numerous international conferences, meetings, sport competitions and cultural events. With its developed infrastructure, elegant shops and modern hotels, it is often described as one of the most beautiful capitals in the world. The cultural and leisure sites are in the close proximity of Király Boutique Residence. 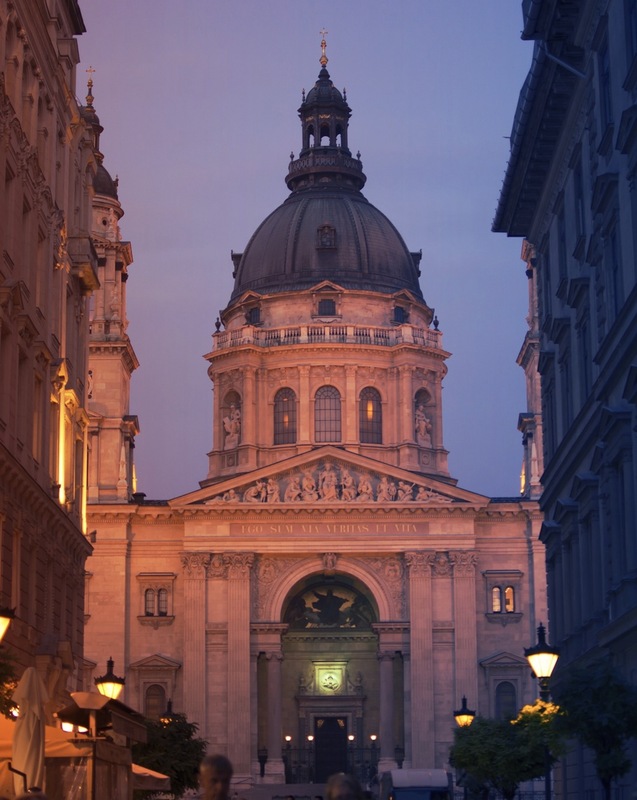 The Opera, the Basilica, Váci street, the Synagogue are all within walking distance. St Stephen’s Basilica of Budapest is one of the most beautiful and significant churches and touristic attractions of the country. This is partly due to its historical heritage, of being dedicated to the holy king St Stephen who was also the founder of the Hungarian state, and partly to the architectural and artistic value of the building itself. Gozsdu Courtyard is one of the most dynamically improving centres in the downtown of Budapest; it is a meeting point that combines entertainment, gastronomy and culture. The entertainment quarter is awaiting its guests with uniquely exciting programmes every day of the week. The Courtyard makes room for countless places, representing extraordinarystyles, thus providing colourful experience for all generations. As the entertainment centre of the downtown, it attracts more than 900,000 visiors per annum; due to its cosmopolitan nature it has become extremely popular between both the residents of Budapest and the tourists. It is a richly decorated building and is considered one of the architect's masterpieces. It was built in neo-Renaissance style, with elements of Baroque. Ornamentation includes paintings and sculptures by leading figures of Hungarian art including Bertalan Székely, Mór Than and Károly Lotz. Although in size and capacity it is not among the greatest, in beauty and the quality of acoustics the Budapest Opera House is considered to be amongst the finest opera houses in the world. Enjoy a bird's-eye view of Budapest from this huge ferris wheel in the city center.The Budapest Eye is a fun, annual experience in the city. 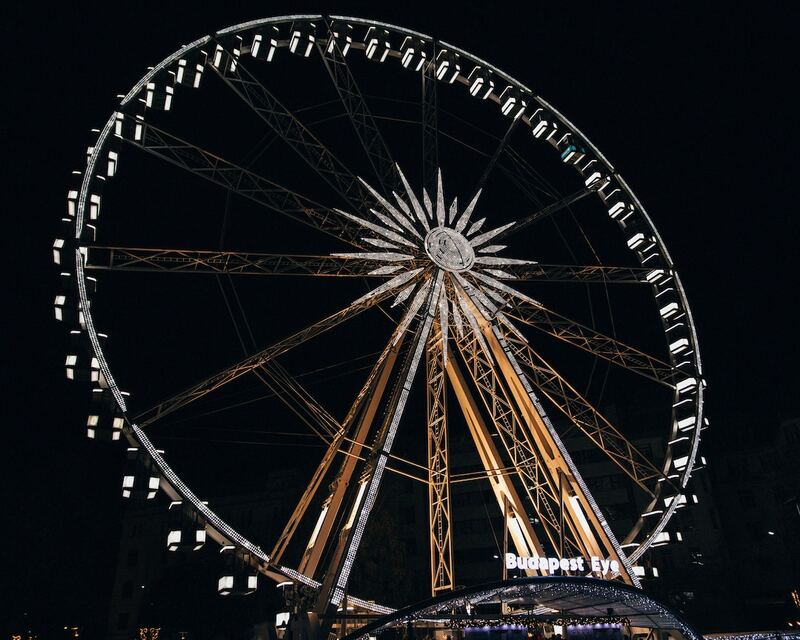 Standing 65 meters tall, the ferris wheel is one of the tallest in Europe. Enjoy the ride in an enclosed cabin that brings you high enough to see the whole city! Váci utca (Váci street) is one of the main pedestrian thoroughfares and perhaps the most famous street of central Budapest, Hungary. It features a large number of restaurants and shops catering primarily to the tourist market. The Lonely Planet says "It's tourist central, but the line of cafés and shops are worth seeing — at least once." Váci utca is one of the main shopping streets in Budapest. Among the retaliers located here are: Zara, H&M, Mango, ESPRIT, Douglas AG, Swarovski, Hugo Boss, Lacoste, Nike. The street opens to Vörösmarty Square.